"Don't be fooled, problems still remain; Southampton have won just one of their last 13 Premier League matches at St Mary's (W1 D6 L6) and Mark Hughes as a manager hasn't led a team to back-to-back league wins since January 2017." Southampton's first win of the Premier League season couldn't come soon enough. After their winless opening three fixtures and performing well below par in each of those, they seemed to have an injection of confidence after their 1-0 win away at Brighton in the Carabao Cup, as they then went on to beat Crystal Palace in the league 2-0. Granted, that may have been a different story had Wilfried Zaha played. Don't be fooled, problems still remain; Southampton have won just one of their last 13 Premier League matches at St Mary's (W1 D6 L6) and Mark Hughes as a manager hasn't led a team to back-to-back league wins since January 2017 (while managing Stoke). Their new recruit Mohammed Elyounoussi hasn't completely gelled within the team yet, and time will only tell Jannik Vestergaard is the defender they were missing since Virgil Van Dijk moved to Liverpool. The good news; many of the first-team players, such as Mario Lemina, Cedric and Vestergaard, did not play a part in their national team's games across the last week and come back rested. Brighton are on the same points as Southampton (4) but have already got Liverpool and Manchester United out of the way, with their only victory of the season surprisingly coming from the latter. Losing away to Watford and at Anfield is no big worry, and clawing back at home to Fulham after going 2-0 down to draw 2-2 shows a lot about their character. The Seagulls' have shown that on their day, they can beat big teams but what about tight, mid-table clashes? Those are the ones they'll need to win to stay safe from the drop. The Saints haven't shown much promise and Brighton should be eyeing this up as one for the taking. Their result here should be a precurser for the season ahead. This is only the fourth time they're facing each other within the last five years, so there's not much to make about the history between the two clubs. In their last meeting, two weeks ago in the Carabao Cup, Southampton came away with a 1-0 win at the Amex Stadium. As always in the league cup both teams had several changes and frustratingly, you can't take much away from that either. Southampton are far too short at [2.22] as a team who cannot win back-to-back in the league and can barely muster a decent performance at home. Opta also tell us that Saints are winless in their last 10 Premier League games played on a Monday. With Brighton inconsistent, it's hard to back them at [3.9] either. The draw keeps screaming at me, and at [3.35], it's a decent wager. Both of their two meetings last season ended in 1-1 draws, and unless the international break has completely changed the structure in one of these teams, it'll probably end in the same scoreline too. You can get 1-1 at 5/1 on Betfair Sportsbook. 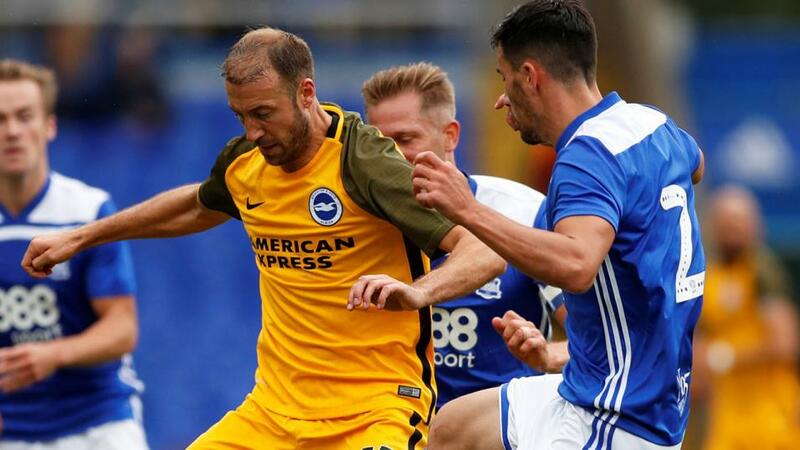 The Seagulls' Glenn Murray has notched three goals in his four appearences so far this season, and he loves scoring against the Saints with four goals from five league starts, inlcuding both meetings last year. It's 21/10 (Sportsbook) that he hits the net again and makes it five from six against his south coast rivals. The hosts have a solid record as well, with striker Charlie Austin scoring more goals in all competitions against Brighton than he has against any other side (seven). Austin is 9/5 to score anytime, but it's too short for me as he's only started two league games so far and it's hard to say if he'll start or come off the bench as he has recently. This will not be a glamourous match, and with Southampton fourth in The FA's Discplinary points ranking, prepare yourself for a cagey affair. My Same Game Multi for this match will be the Draw, Under 2.5 goals and Over 40 booking points at around 17/2.